The court has been asked to look into the manner ARMS Ltd computes the bills. The case of two customers challenging the manner in which electricity bills are calculated by ARMS Ltd is expected to continue in court after a judge rejected preliminary submissions made by the company. Darren Cordina and Melvin Polidano accused the authorities two years ago of breaching subsidiary legislation calling for the calculation of bills to be based on actual cumulative annual consumption and providing for a refund if the customer has overpaid. Their lawyer, Maxilene Ellul, argues that the method of computation breaches at least three directives that call for transparency and fair treatment, among others. She said that the manner in which the bills were issued did not allow her clients to reap the full benefits of the underfloor heating system they had installed in their house. They were even threatened with having the provision of electricity suspended, forcing them to settle the excessive bill under protest, Dr Ellul said. However, ARMS (Automated Revenue Management Services Ltd) deemed their application “null”, insisting it was confusing and contained different and conflicting actions. The First Hall of the Civil Court, however, ruled otherwise. Madam Justice Anna Felice rejected the preliminary pleas raised by ARMS, meaning the case would now continue in court. The judge noted the applicants’ insistence that ARMS was calculating their bills in a way that did not respect the law. Their aim was clear and ARMS appeared to have understood this so well that the evidence already produced addressed the complaints raised by Mr Cordina and Mr Polidano, Madam Justice Felice said. Moreover, she continued, the court found nothing conflicting in their requests. Fears that customers are overpaying on electricity due to the billing method were last year flagged on social networks and picked up by the media. 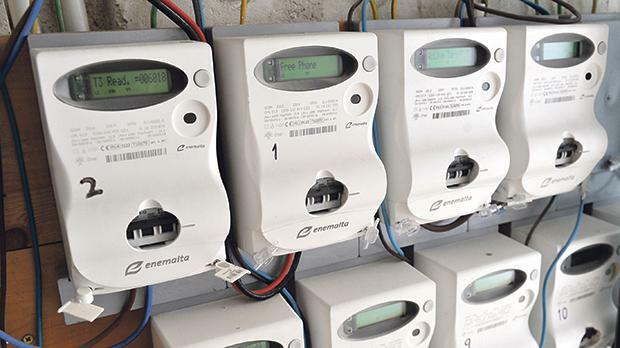 The Consumers’ Association of Malta has long received complaints about the unfair way utility bills are worked out and had told The Sunday Times of Malta customers were being cheated out of lower tariffs. Association president Benny Borg Bonello argued that consumers should be billed for cumulative consumption or else any overpayments should be refunded at the end of the year. However, the Regulator for Energy and Water Services maintained that current legislation did not allow for reconciliation. ARMS Ltd uses a staggered system to bill consumers. The first 2,000 units of electricity are charged at one rate and further consumption at higher rates. Thus, for every kWh of the first 2,000kWh consumed in a year, residents should be charged 10.47c and then pay 12.98c for every kWh for the next 4,000kWh, 16.07c per unit on the next 4,000kWh and so on. However, ARMS splits up this allocation pro rata according to the number of bills a consumer receives in the same year. This means that if a residence is billed every two months, the first 2,000 units are split between six bills, amounting to an allocation of 333 units per bill at 10.47c per unit. If a residence consumes fewer than 333 units in a two-month billing period, the remaining units at the cheaper rate are not brought forward to the subsequent bills. The allocation is lost and cannot be used in the subsequent months, with the same method being applied to the higher bands.